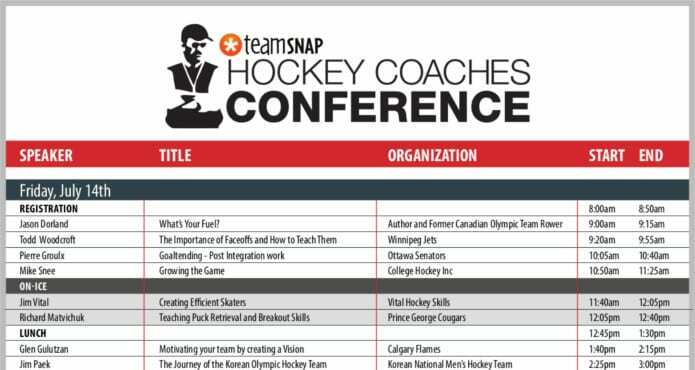 The Coaches Site is thrilled to announce our schedule of speakers for the 2017 TeamSnap Coaches Conference on July 14th & 15th at Fortius Sport & Health in Burnaby, BC. This year we’re covering a bigger range of topics than ever. 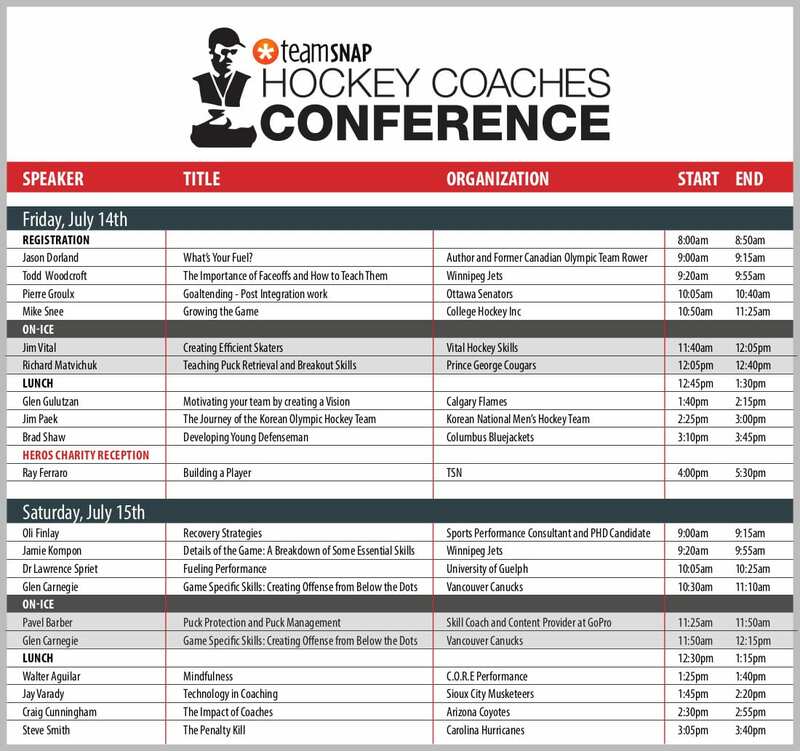 From fuelling your game to Faceoffs to in-depth Goaltending analysis, this year’s speakers have every inch of the ice covered. 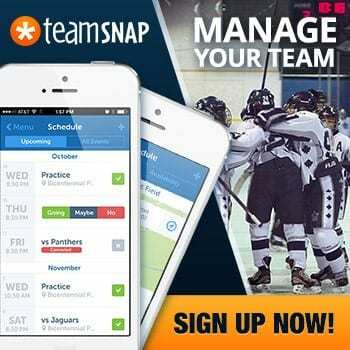 Skating, Breakouts, Defensemen, Offense – you name it, we’re covering it. What about off the ice? 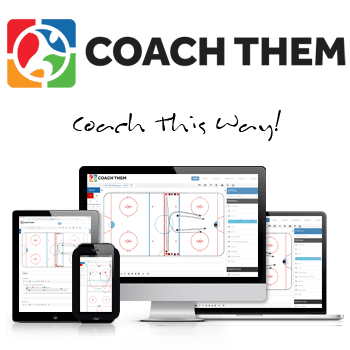 The impact of coaches on young hockey players is immeasurable. This year we have topics tackling the essentials of mindfulness, recovery, technology, and more. We also have an incredibly special guest this year Jim Paek to talk about his journey with the Korean Olympic Hockey Team on their journey to the PyeongChang 2018 Winter Games. We did a piece on Jim a couple months ago check it out HERE to get excited about his talk. Ray Ferrao will be our guest at the HEROS Hockey Charity Reception. This is always one of the highlights of the event and not to be missed. Come listen to Ray talk about Building a Player. Last time Ray was at the conference he stole the show, checkout an excerpt of that presentation HERE. 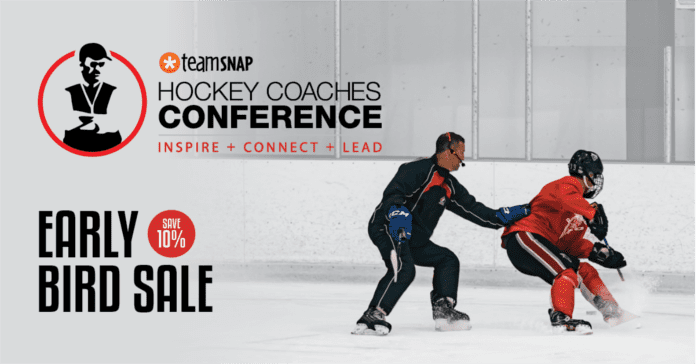 Ray Ferraro: Creating a Winning Environment. The complete schedule is listed above. Check it out, and if you haven’t got your tickets yet, there’s still a few seats left, but don’t wait!